Diana was born in Colombia and moved to the US at the age of 9. She graduated from Cypress Bay High School in Weston FL in 2009 and attended Broward College in Davie FL. 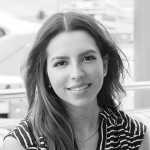 At the age of 20 she began working at a local and well respected Insurance Agency in Fort Lauderdale, where her work involved communicating and educating agents with regards to the company’s tailored products. Diana worked closely with underwriters and was able to experience some underwriting herself. She became familiar with underwriter’s requirements and was exposed to several types of vessels including high performance boats. After four years in the business Diana obtained her General Lines Agent License along with the Florida Surplus Lines Agent License. She joined IYC in 2015 as Insurance Specialist.